The iMed Health Products Disposable Underpads in 23x36 size come in 3 bags of 50 (150 count per case). 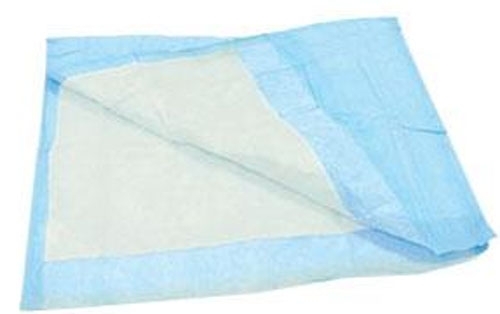 The iMed Health Products Disposable Underpads in 23" x36" size come in 3 bags of 50 (150 count per case). These IMed underpads are constructed with 45 grams of highly absorbent, tissue fill. Each underpad has a waterproof, non-skid blue backing, sealed on all four sides to prevent leakage.